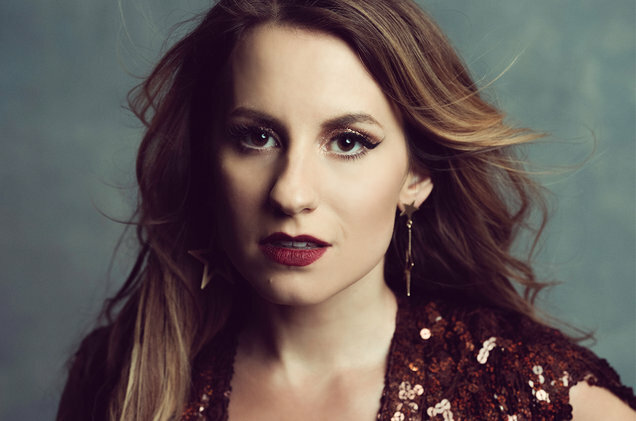 If you haven’t heard of Caitlyn Smith, let us introduce you. This artist has helped write hit songs such as “Like I’m Gonna Lose You” by Meghan Trainor and John Legend, “You Can’t Make Old Friends” by Kenny Rogers and Dolly Parton, and “Tacoma” by Garth Brooks. Her writing goes above and beyond, appealing to music fans from all genres. Now, it’s her time to shine. Smith wants to share her own stories and experiences through her voice. Her studio album, Starfire, will be released on Friday, January 19. Smith has a wealth of previous work, as well as several tracks from her new album out as pre-release tracks. Let’s discuss. This one is for all of the dream chasers out there. It’s hard to get started and you’re going to face setbacks. It hurts you, stuff happens, it can be a lonely road, but you can’t give in. You’ve gotta keep chasing that dream. A Caitlyn Smith cover of Garth Brook’s song (even though it is her song). He recognized her talent and cut this song for his album, Man Against Machine. As many know, it is a sad melody about leaving a relationship and trying to forget. But, what may not know is that she accidentally came up with the idea from directions on her phone! The latest pre-released song from Starfire is definitely not the least. It’s total upbeat jam about getting high off of someone you like. It showcases Smith’s amazing voice singing all the notes and even rocking out and getting raspy. You simply can’t not dance to this song. Add this track to your “singing in the car” playlist, right now. “Wasting All These Tears” was Cassadee Pope’s first single after winning season three of The Voice. It reached to #5 on Billboard’s Country Chart, and reached RIAA Platinum in 2014 – and, you guessed it, was written by Caitlyn Smith. Smith has seen significant radio success with songs she’s written for other artists. An Aretha Franklin cover, of course. She took this song and sang in signature Caitlyn Smith style, which blurs lines between genres and puts stellar vocals first. It appeals to everyone… how can you not love her? “We just kept the vocals raw and emotional. We didn’t set out to make it sound like anything other than just my heart exploding,” she said via Rolling Stone. Be sure to check out Starfire, out this Friday, January 19.